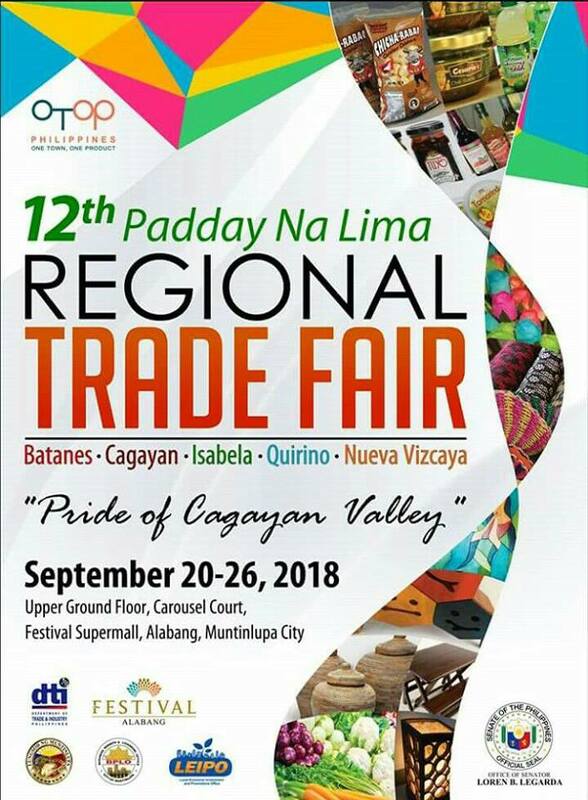 Check out this year’s Padday na Lima Regional Trade Fair happening on September 20-26, 2018 at Festival Mall, Alabang. It will showcase trademark products from the Provinces of Batanes, Cagayan, Isabela, Nueva Vizcaya, and Quirino ranging from furniture and furnishings, processed food, fashion accessories, home decors, arts and crafts, ornamental plants, and more! A special setting will be set up to showcase the new and improved products of the OTOP Next Gen Enrollees and to display the craftsmanship and innovativeness of Cagayan Valley artisans. 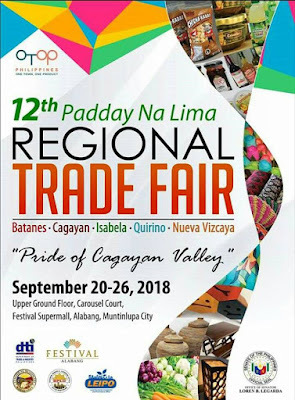 It will showcase the Cagayan Valley’s common practices to include weaving and basketry which has its distinct style translated in different forms and from different indigenous materials such as corn husk, sarakat, pandan, sabutan, banana stalk, and other materials that abound in the countryside. Finished products range from fashionable bags and bayong, baskets, gift items, and house wares and decors. Moreover, a pavilion will be set-up to feature the most sought-after products of every Province in the Region to be served every day for free at a certain time. There will be also a free sampling of different beverages that are locally produced.